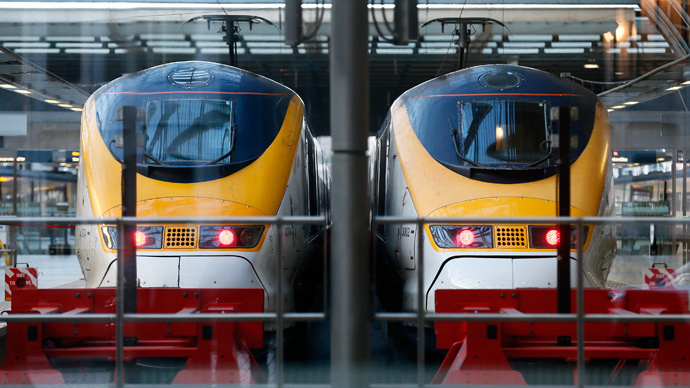 Transport unions in the UK said they are “puzzled” after Network Rail issued a legal challenge on Tuesday to their proposed 24-hour Bank Holiday strike, despite the fact that negotiations are continuing. Government-owned Network Rail said it was calling on the Transport Salaried Staffs Association (TSSA) to withdraw notice of their industrial action, alleging there were “numerous defects” in its ballot. TSSA leader Manual Cortes said he was confused by the legal challenge, adding he wished to resolve the dispute at the negotiating table and not in court. TSSSA, which represents 3,000 members at Network Rail, voted last Friday for a 24-hour strike beginning at 5pm Monday May 25 – a national holiday in Britain. Some 53 percent of members balloted supported the strike while 79 percent backed other forms of industrial action, according to the union. Network rail strike next week which will cause major disruption to all services. Don't worry though, you probably won't notice. The left-wing National Union of Rail, Maritime and Transport Workers (RMT) will also be on the picket lines after 80 percent of its members voted in favor of striking and 92 percent for other forms of industrial action. The decision to strike was made days after Tory Business Secretary Sajid Javid said the government will introduce new laws to stop public sector industrial action going ahead unless they have the support of at least 40 percent of workers eligible to vote. Both TSSA and RMT achieved this condition, with the former seeing a turnout of 52 percent and the latter 60 percent. The proposed action, which is the first UK-wide rail strike in 20 years, will see signalers, maintenance staff and station workers walk off the job. Network Rail launch legal action citing Union ballot illegal, rather than see how round the table talks go. How NOT to resolve a dispute !! When RT contacted Network Rail for further comment, a spokesman said the company was unable to disclose any details of the legal challenge at this point. Union leaders were left perplexed by the announcement, as negotiations are still under way at the Advisory, Conciliation and Arbitration Service (ACAS). “We are frankly puzzled as to why Network Rail are taking this legal route whilst talks continue today at ACAS to solve this dispute and avert next week's strike action,” said Cortes, the TSSA leader. “They seem more determined to impress [Transport Secretary] Patrick McLoughlin and the Tories than making a serious attempt to resolve this pay row and ensure that the trains run on time over the Bank Holiday. We want to settle this around the negotiating table, not in the High Court," he added. RMT General Secretary Mick Cash said the legal action would be anti-democratic. “Network Rail have opted instead to threaten a dash to the courts to challenge the democratic decision of rail worker members of one of our sister unions,” he said. Union organizers said the strike was about compulsory redundancies, safety and pay. “Compulsory redundancies will affect safety, because what they are trying to do is get skilled people out of the industry,” RMT Assistant General Secretary Steve Hedley told the BBC on Friday. “At the same time they are moving towards a model of employment that's relying on people on zero-hours contracts and temporary workers,” he added. The RMT gave Network Rail 10 days’ notice of the strike, rather than the legally required seven days, in a bid to allow more time for negotiations.